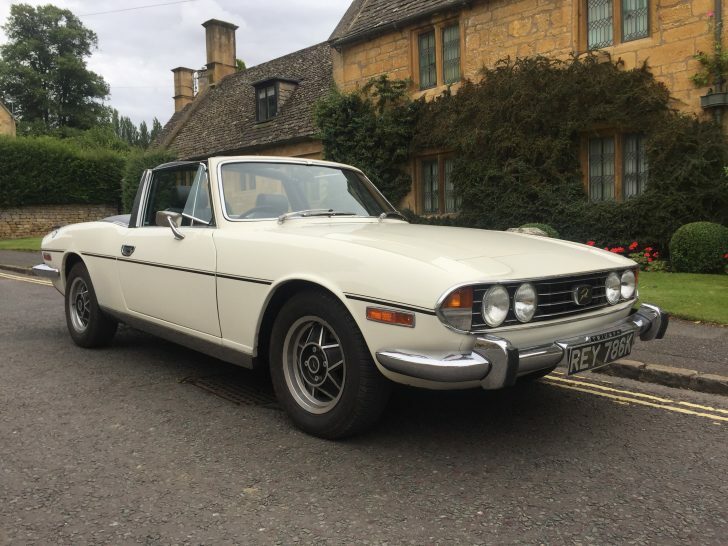 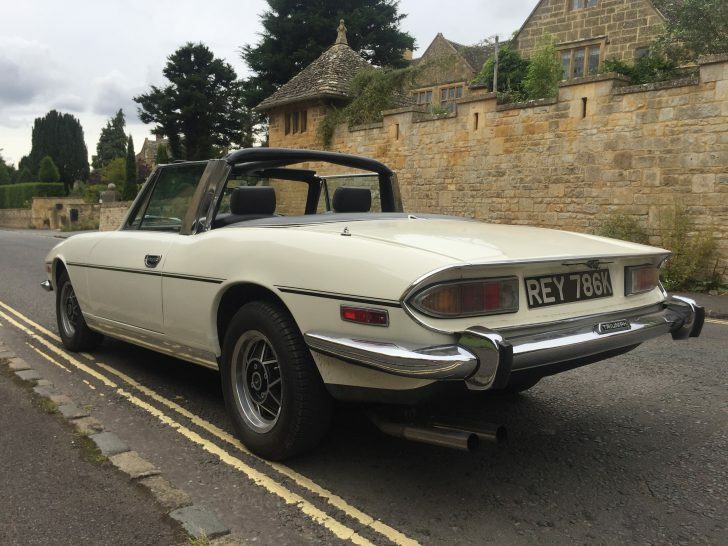 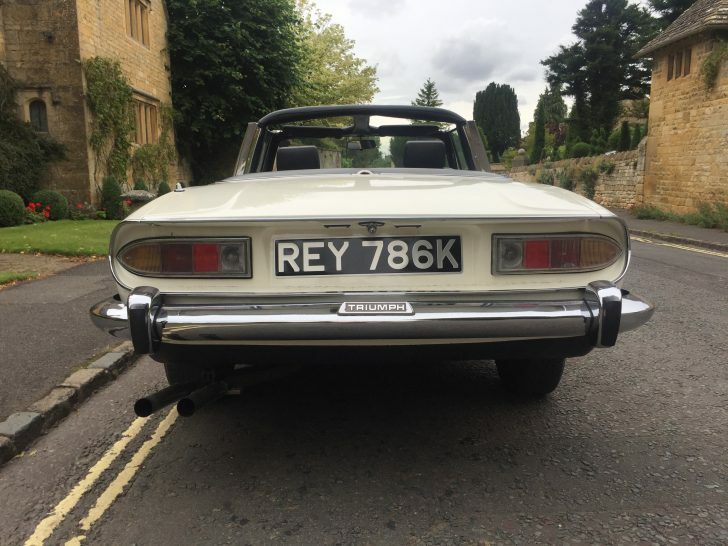 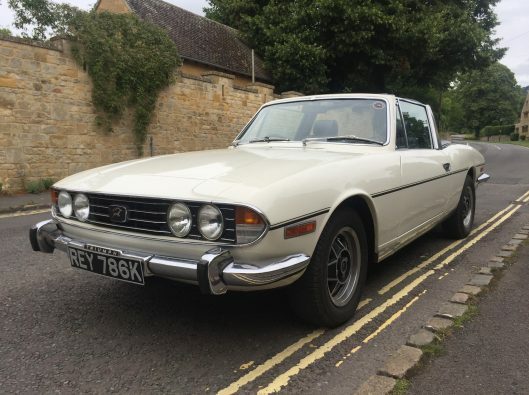 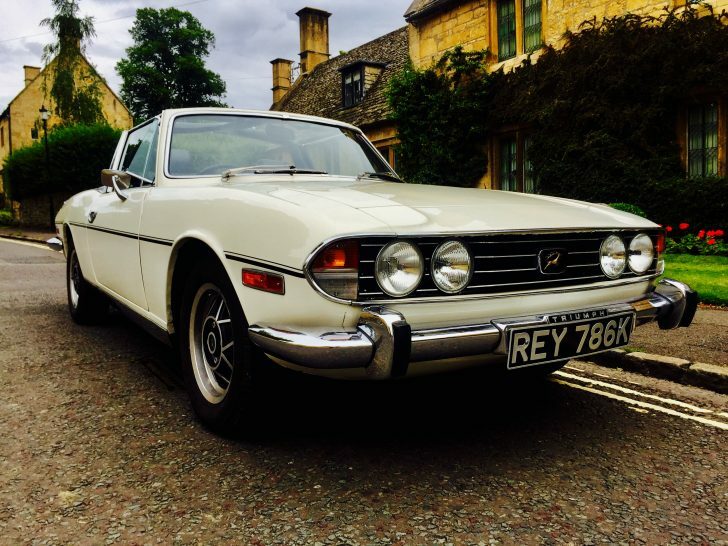 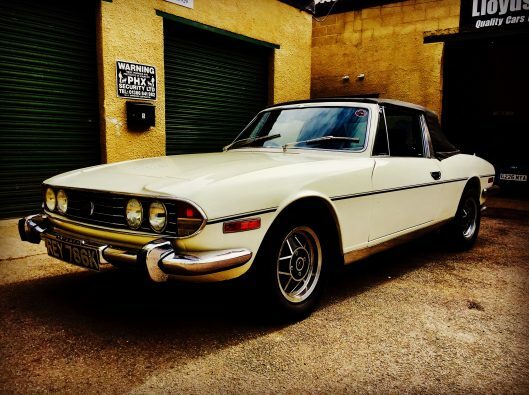 This really nice Triumph Stag V8 was first registered in 1972 so is now 45 years old and of course road tax exempt! 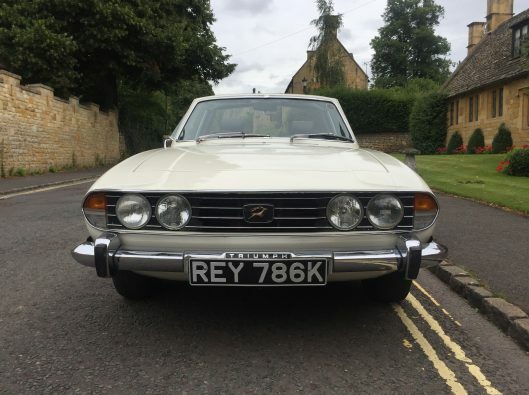 This car was restored a few years ago and remains in very good condition all round. It was originally yellow but had a bare metal respray to this, in my opinion, the nicest colour for these! 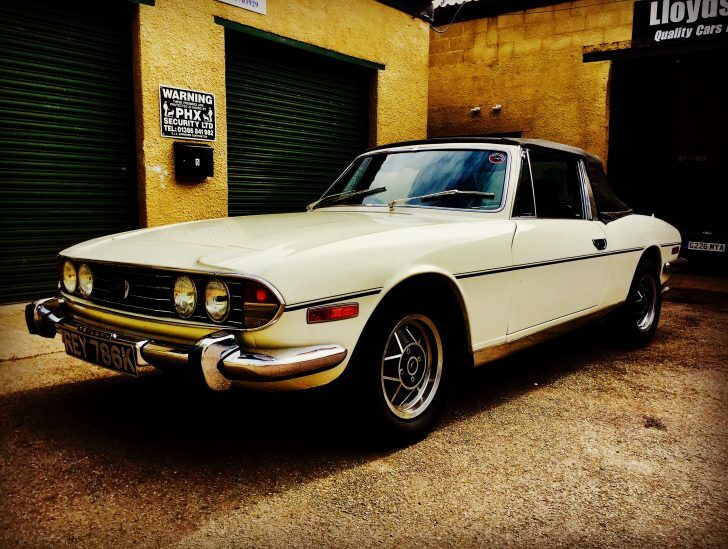 This was recorded in 2007. The original 3.0 litre V8 engine sounds amazing and holds excellent oil pressure. The roof is in outstanding condition and has clearly been renewed recently, the car also benefits from a hard top and very useful hard top storage stand! 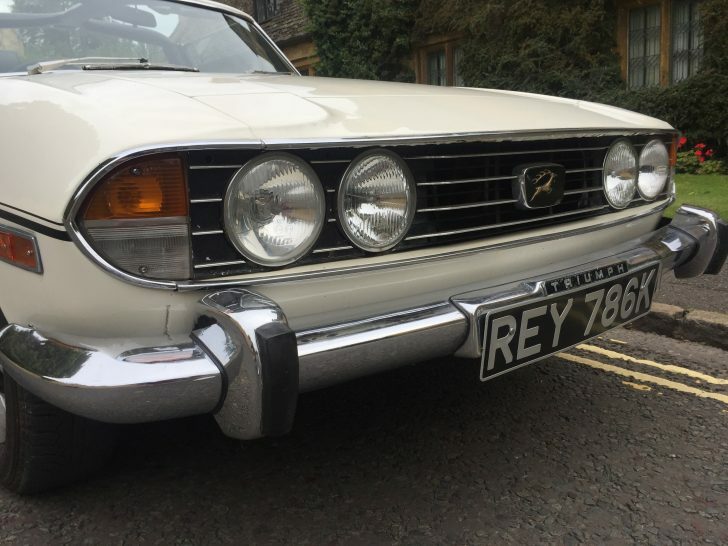 All of the chrome is spotless, with some lovely chromed engine parts in a very clean engine bay too… this has clearly been loved! 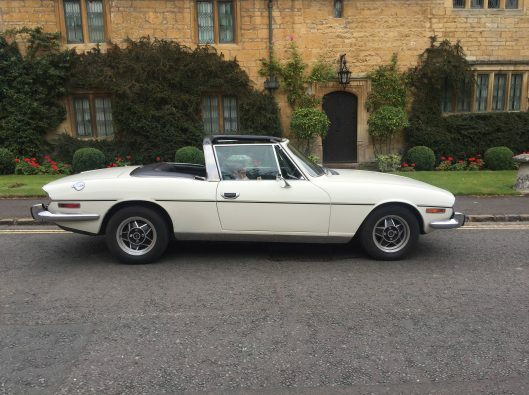 It sits on a set of Mk2 alloy wheels with a good set of tyres. The interior is good too, with a lovely new ‘retro style’ CD radio which goes very well with the car! 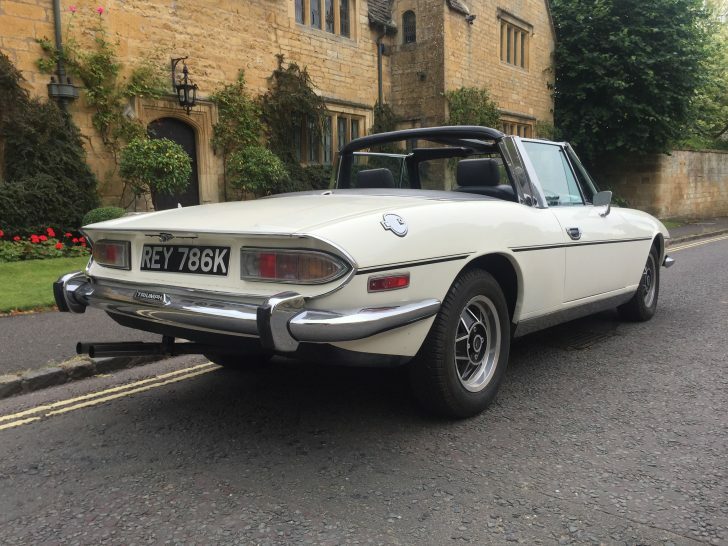 All in all a grest usable Stag at a sensible price which should be a great investment along with a huge amount of fun!